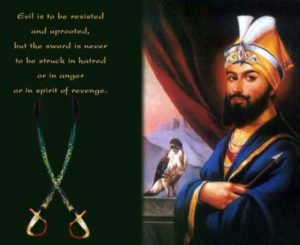 Guru Gobind Singh ji fought against social evils to tie society with a thread of unity. The teachings of Guru Gobind Singh are even more relevant today to promote harmony and brotherhood. We should follow them to enrich our lives and to promote peace and harmony in society. 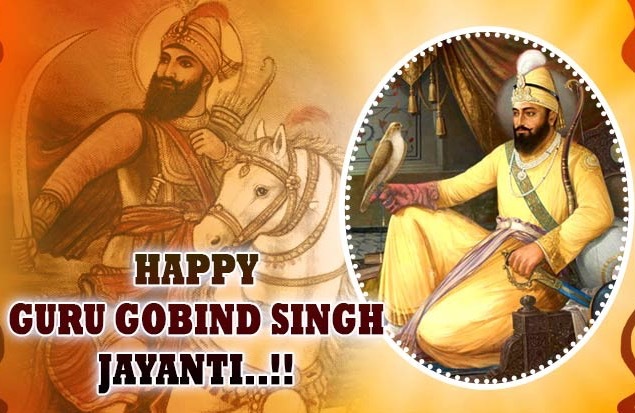 Guru Gobind Singh ji has inspired millions across the world, as he was a great warrior who fought for the unity and integrity of India and showed the path to humanity….. His bravery is etched in the heart and mind of every Indian. Guru Gobind Singhji was blessed with indomitable courage and tremendous knowledge. His entire life was devoted to serving people and fighting for values of truth, justice and compassion. Today we pay obeisance to Guru Gobind Singh ji, hailing him for fighting against injustice, tyranny and social differences. Guru Gobind Singh ji was not only creator of the gracious Khalsa but was a renowned spiritual master, warrior, poet and philosopher. He sacrificed his entire life at the altar of safeguarding the rights of underprivileged. Today is a day to rededicate ourselves to the ideals of equality…..of leading an honest, truthful and virtuous life.